Bruce Willis had his big break with the offbeat comedy TV show, ‘Moonlighting’, which as it happens was one of my favourite TV shows ever. The incredible; would they, wouldn't they, love hate relationship between Bruce Willis’s character, David Adison and Maddie Hayes, played by Cybil Shepherd, made for some hilarious viewing. Who’d have thought then that the madcap Dave Addison would go on to be one of Hollywood’s biggest action movie stars? That’s what Bruce Willis did, though, and he entered the action movie hero scene with a bang with the incredibly successful ‘Die Hard’ movie playing the part of cop John McLane. Bruce Willis has now appeared in over 60 movies, including the ‘Die Hard’ series, ‘The Fifth Element’, ‘Sin City’, ‘Armageddon’ and ‘The Expendables 2’. So, it is movie trivia time again with these ten things that you may not have known about Bruce Willis. 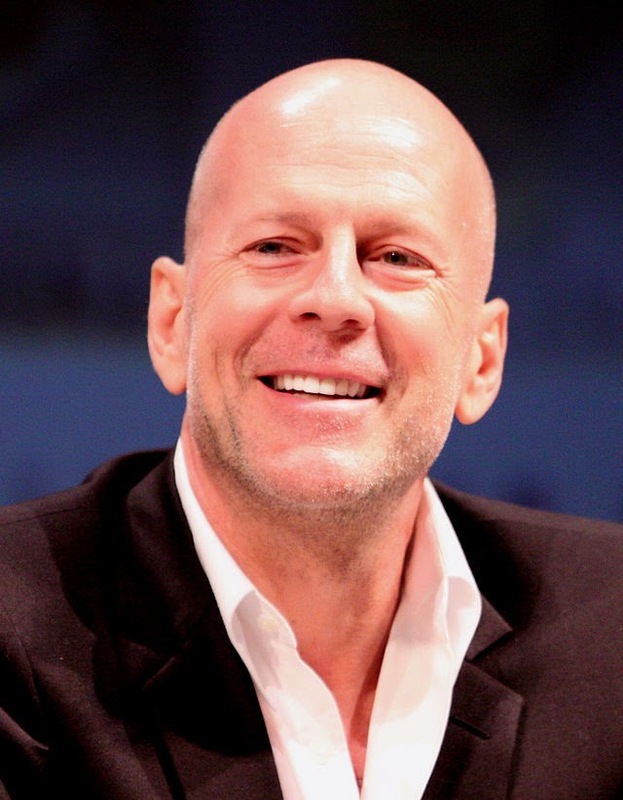 In his early years, Bruce Willis suffered from a severe stutter. He struggled with this speech impediment at school up until the age of nine when he discovered that didn’t stutter at all when he appeared on stage in a school production of ‘A Connecticut Yankee in King Arthur’s Court’. Bruce Willis was born in Idar-Oberstein, West Germany, on 19th March 1955. His father was an American Soldier stationed in Germany and his mother was German born Marlene, who Willis’s father, Robert, met while he was in Germany. The family returned to the US when Willis was two years old. 3. Bruce Willis had a top 5 hit singleIn 1987, Bruce Willis released a soul album ‘The Return of Bruno,’. Actually, even though the success of his album was probably more due to his popularity as an actor than his musical ability, his singing isn’t all that bad at all! The album made No. 14 on the Billboard album chart and the single, ‘respect Yourself’, made it to No. 5 on the Billboard hot 100 singles chart. The director of the first ‘Die Hard’ movie, John McTiernan, wanted to hear realistic big bangs and explosions on the soundtrack so he had the actors use real blanks in the action scenes. In the ‘Die Hard’ scene where John McLane shoots one of the villains from underneath a table, the noise of the blanks going off caused Bruce Willis to permanently lose two thirds of his hearing in one ear. When Bruce Willis turned up for his audition for ‘Moonlighting, he nearly didn’t get the part because of how he looked. He arrived for the audition wearing military fatigues and sporting a spiky hairdo and the executives of the show didn’t think he was the right man to play David Addison. The show creator, Glenn Gordon, saw something in Willis, though, and he made the actor do a screen test with Cybil Shepherded. Apparently, the chemistry between the two was immediately apparent and Bruce Willis got the part. Rock n’ roller, Little Richard was the minister who presided over the marriage of Bruce Willis and Demi Moore. The Hollywood couple were married November 21, 1987, they had three daughters together and they divorced in October 2000. The couple have remained good friends and Demi Moore was a guest, with her new husband Ashton Kutcher, at Willis’s second marriage to model Emma Heming in 2009. Brice Willis is a staunch supporter of the US Republican Party and the US military and he put up a personal $1m bounty for the capture of Osama Bin Laden and Saddam Hussein. Originally he wanted the bounty to open to members of the US military, but they are not allowed to accept payment from someone else for doing their job. The late Michael Clarke Duncan was working as a bodyguard before he got his big break in ‘Armageddon’ and it was Bruce Willis, who personally recommended Clarke Duncan for the part of John Coffee in the movie version of Stephen King’s ‘The Green Mile’. 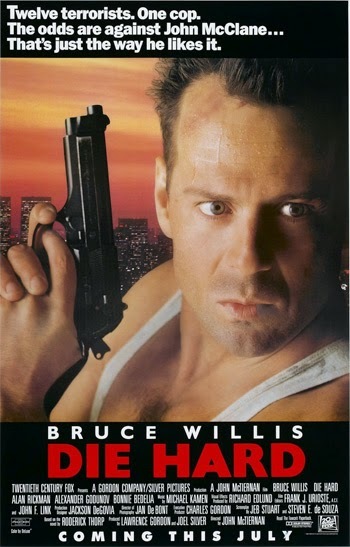 Bruce Willis was due to star in a Disney film, called 'The Broadway Brawler' but, heated exchanges between Willis and the producers eventually lead to the movie being shelved. Rather than get into a messy legal battle over the film's demise, Willis agreed to make two more movies for Disney which turned out to be ‘The Kid’ and ‘The Sixth Sense’. Bruce Willis also had his own cartoon show about a kid who led a double life as a secret agent working for the government. Willis sang the theme tune and provided the voice for the main character ‘Bruno the Kid’.